BigView – Red Hot Summer Fun! Red Hot Summer Fun is the plan for July. 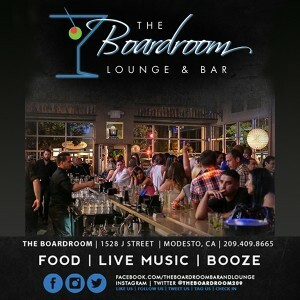 There are so many things to do and July is buzzing with fairs, music, festivals, tomatoes, cocktails, and so much more. You really need to plan things out this month as July will be done before you know it and we will be back to school. So get your shorts, your waterbottle, some good sneakers and let’s get a move on and explore. Of course, this isn’t saying that it is not perfectly acceptable to spend your summer in a hammock, under a tree with a cold drink, but we encourage you to explore. This month, you need to run early in the mornings and some of the best places to run are the bike trails along Dry Creek and the Virginia Corridor. It is always best to run with a partner for safety and stay hydrated. If you want to have fun and run in a group, connect with the Dusty Bottoms Trail Runners as they have training runs on Tuesday and Thursday Mornings at 7 am on the Virginia Corridor and an evening run that starts and ends at Fuzio Bistro Thursday evenings at 6:30. Check it out! Thanks to the teamwork of Leadership Modesto and the City of Modesto Parks Department, the playground at Graceada Park is back and better than ever. This is Modesto’s park and it is a place for all of us to go spend some time. Remember the more we all go there and be active, the safer and better it will be. Take the kids to play before MoBand and take a sack lunch and just go enjoy the park and the variety of trees. Many of Modesto’s parks have had new equipment installed and there are some new parks on the way. If you are looking for something indoors, Lazer Quest is always a fave and you can check out the Escape Room in downtown Modesto. Friends, you know this is something that we enjoy. There is really nothing like a good afternoon delight, I mean summer refreshment, such as a home made Sangria, Barefoot refresh or my fave, the Aperol Spritz. With so many great fresh tastes, you can enjoy a craft beverage and most all of our local restaurants and cafes. 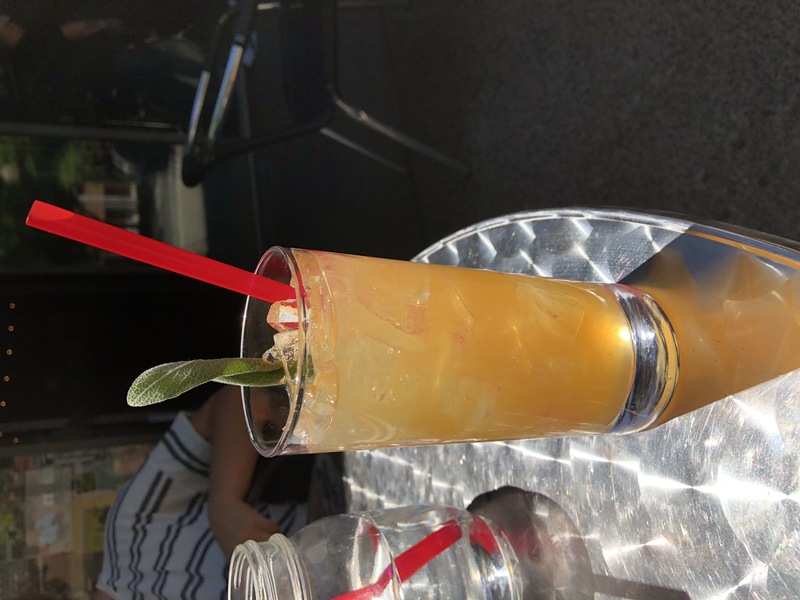 There are sweet drinks like the Rum filled Jerk at Minnie’s, or the rosemary and grapefruit flavors of the Gin & Tonic at Redwood Café, or the FuzioTini at Fuzio, a summer Sazerac at the Bayou, and even a Spritz Aperol refresher at Ralston’s Goat or Concetta just to get you started. Just in case you didn’t know, we are only a short distance to Yosemite. 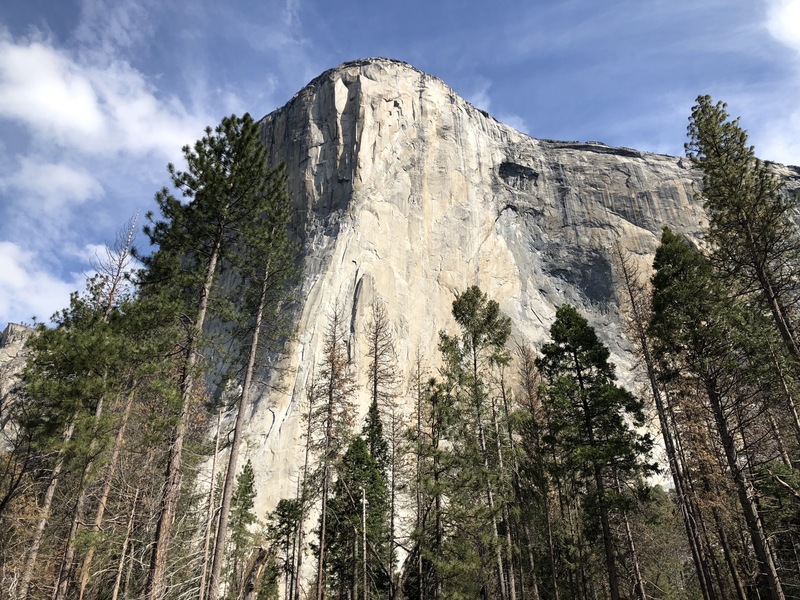 The water is still going great and there are so many day hikes and this time of year, you are sure to see climbers on El Capitan so take some binoculars! If you are not ready for the vertical, there are plenty of places to scramble on the rocks, it’s fun. Take advantage of the free shuttles and enjoy the park. 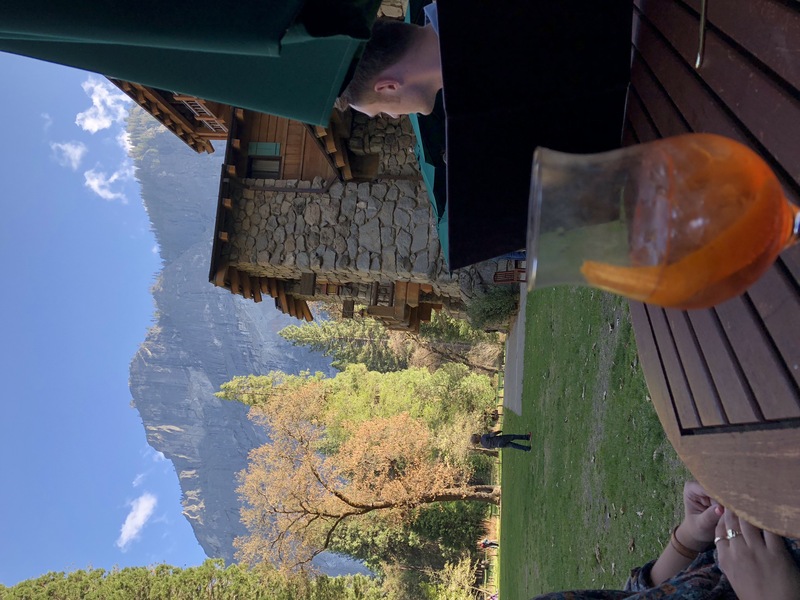 Make sure to have a drink on the patio of the Ahwahnee Hotel, oops I mean the Majestic. There are a few ways to beat the heat this summer. Even though our nights get a breeze, you need to take care during the day. Please remember to stay hydrated and that does the most. There are may things to do in nice cool air conditioning, but being outdoors is the best. Take advantage of our restaurant’s covered patios and when you bike along the trails, there are many tree-covered places to take a break. But here are some fun destinations to enjoy the wetness. The pool at Graceada Park is open again thanks to the dedication of the Barber family and the teamwork of the City of Modesto. There is also a community pool in Empire that teaches water safety as well as a community pool at the Salvation Army Red Center and splash it up this summer. But please, stay out of the canals and the fast water in the rivers. It doesn’t end well. Sometimes all you need is a splash to freshen up your or your kids’ day. There are 7 Splash Pads in Modesto and the newest has just opened in Graceada Park that will make it a fun day. Take the kids and run through and have fun and stay cool. Have you ever dreamed about rafting the mighty waters of the Grand Canyon? Well you should start right here in our own backyard. 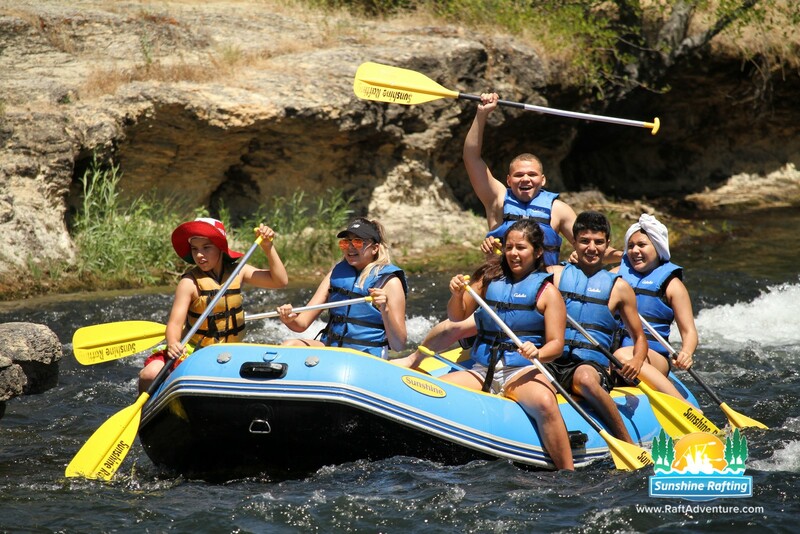 The Stanislaus River has some of the best white water rafting for both the expert and the family level rafters. There are two main areas of rafting, above or below Knights Ferry. The wild river is running pretty good this year and there are some Class I and II to white-knuckle rapids. There are some mellower trips too and for most, some plain old fun float trips. These are all easy to get to, both to start and to get out of the water. Please make sure that you raft these rivers with an expert. The water may look calm, but it is not. Enjoy the fun and raft to your ability. Here are the local rafting companies that will get you all hooked up, whether you go as a single, couple, family or group, there is something for everyone. Some even have raft and camping options so you can make a trip out of it. It is important to not only look cool, but to actually be physically cool. It is great to get out there and run, ride and play but make sure you stay hydrated. It is funny, but longer sleeves actually keep you cooler.